Chris Reeve is an icon in the knifemaking world, with over 30 years in the craft his knives are exceptional. The Sebenza 21 is no exception. With a beautiful basketweave pattern damascus steel made by Devin Thomas, this folding knife combines form and function in a great blade that will last a lifetime. 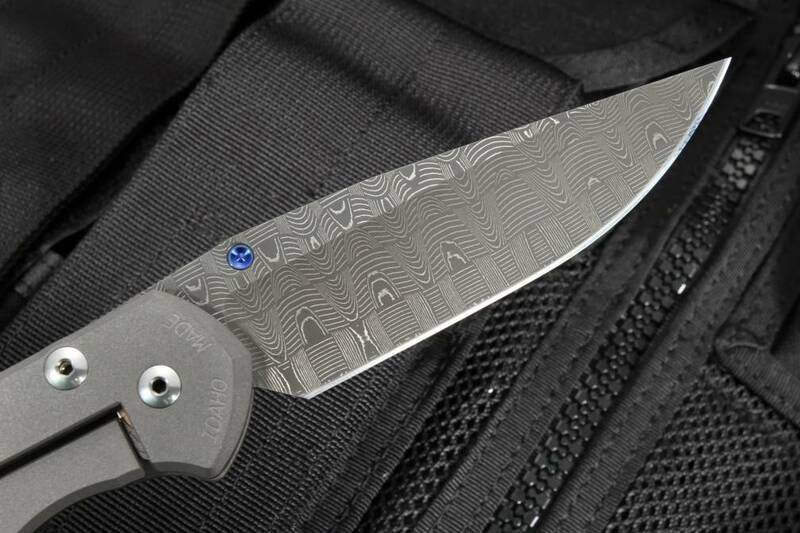 The blade is hand forged American-made stainless damascus steel, in a basketweave pattern. This pattern is a permanent part of the steel, not only adding aesthetics but a uniqueness to the blade. The sebenza has a drop point shape and has hollow grinds. Of course, a blade is only half of a knife, and the handle is just as important. The Sebenza is lightweight due to its titanium construction, with a titanium clip that will last. The thumb rest is filed for extra comfort, and the frame locking mechanism is as dependable as it was when Chris Reeve first pioneered it. 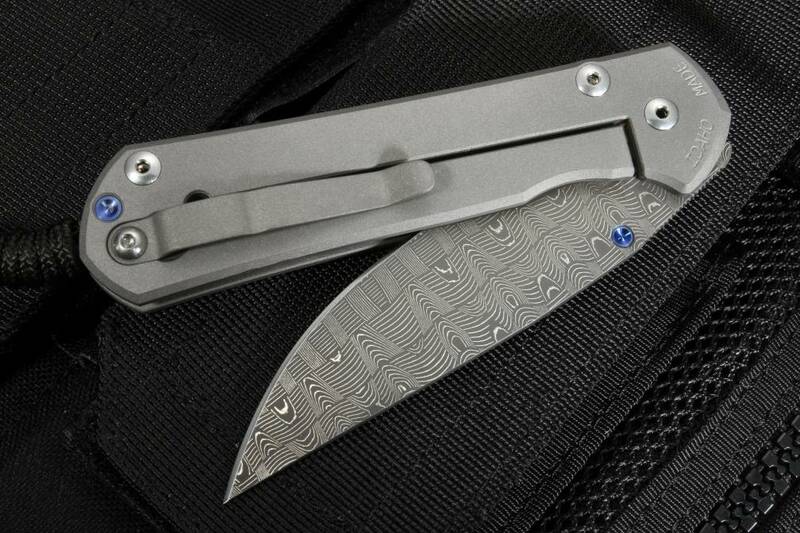 From its titanium handle to the tip of its hollow ground damascus steel blade, the Sebenza is a utility knife that looks like a piece of art. All of its components have unmatched durability, making it great for an outdoorsman, knife aficionado, or everyday carry user. If you're looking for a unique knife that will last a few generations, give the Sebenza a try. The basketweave damascus makes it a conversation piece, and attention to detail ensures your knife is a cut above the rest. 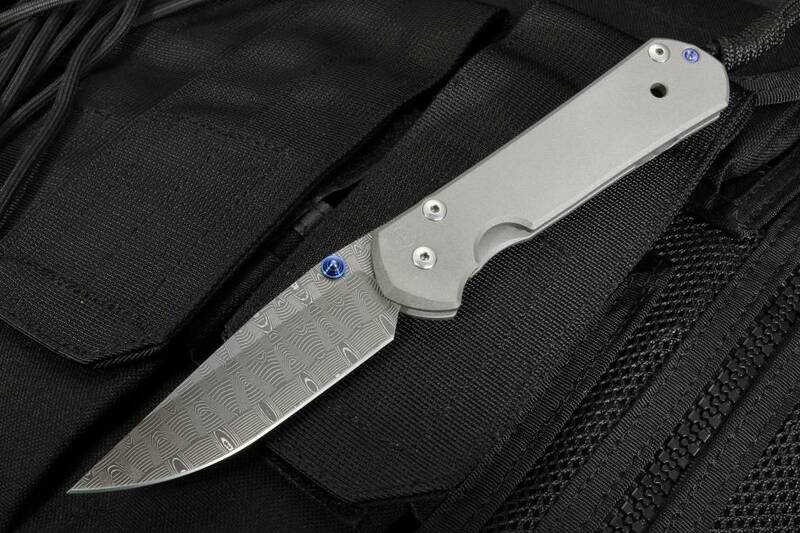 Blue anodized titanium thumb lug makes this knife easy to open with one hand and adds a beautiful touch of color. This CRK Sebenza is a masterpiece in every way. I'm blessed and privileged to at last have one of my own. Thanks to KnifeArt for making it possible for those of us outside the US to get hold of these masterpieces. KnifeArt offers a special selection of the best knives and the service is fantastic.